The intersection of a sticky amphibian and a dangerous reptile? That seems as absurd as threatening and somehow familiar at the same time. 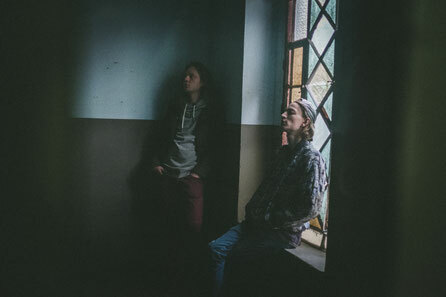 The refreshing sound of the German Art-Rock band FROGCODILE can easily cast a melancholic and hypnotic spell over the listener or put him into a feeling of joyful ecstasy right in the next moment. 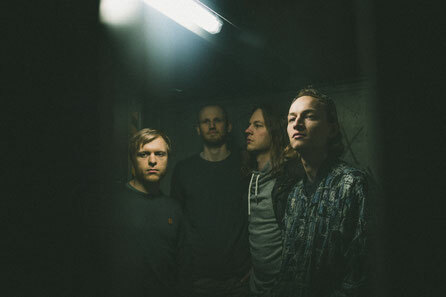 Conducted by brothers Dennis and Markus Kresin and held together by an excellent rhythm section (Niklas Beiten and Lennart Richter) the band creates groove-driven collages of haunting electric guitars somewhere in between RADIOHEAD and THE POLICE. The follow-up to the 2017 album REFRACTIONS is a trilogy of EPs. Throughout 2018 the band will drop three pigments of musical colorant to build upon their dreamy and contemplative predecessor. FROGCODILE extend their sound by electronic elements and rely on a more minimalistic and intimate approach. Nevertheless the mostly fragile and vulnerable voice sometimes bursts into grunge-esque screaming. Desperately seeking for sense and drenched with an inquiring loneliness the introverted lyrics flow through echoing guitars und buzzing synthesizers. A dark and yet colorful soundscape, that escapes from habitual song structures time and time again.